The red-breasted nuthatch is a small songbird that gets its name from its cinnamon under parts. 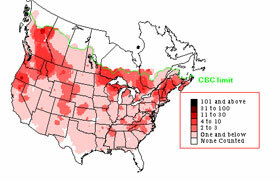 It lives in the coniferous forests of Canada, Alaska, and parts of the United States. This little bird usually stays in its permanent location all through the year, although it sometimes irrupts to the southern regions if there is paucity in their food supply. 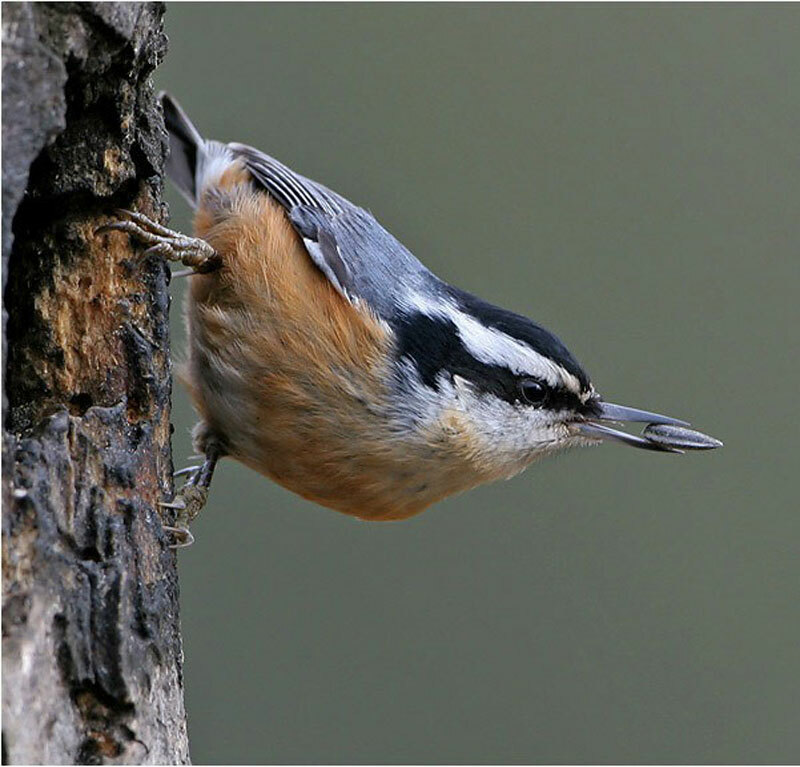 Red-breasted nuthatches are monogamous birds with the male performing an elaborate display to attract females. The courtship display includes making its head and tail erect, lowering its wings and moving the body from side to side. 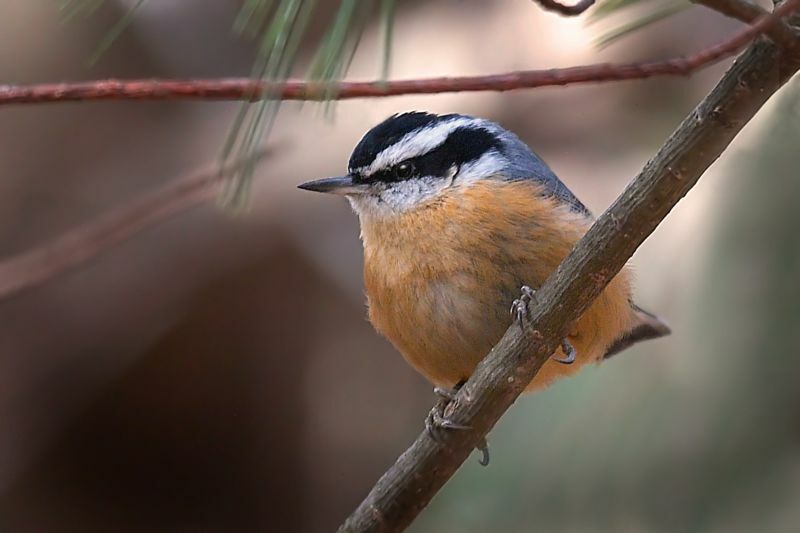 The males sing from the treetops and potential nest building locations, calling up to fifty times in a minute. They also bring some food for the female as part of the courtship ritual. 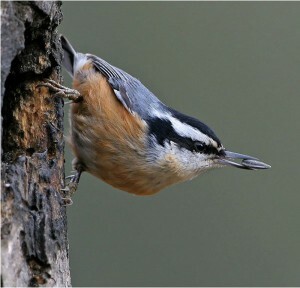 The red-breasted nuthatch is among the few species of birds other than woodpeckers that have the habit of excavating nest cavities. Both sexes take part in nest-building, although the female puts in more contribution. 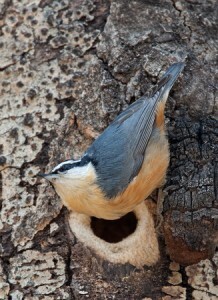 They use conifer resin to plaster the entrances of its nests, applied with the help of bark strips, to prevent predators and competitors from entering the nest. This bird becomes very aggressive during nest building and vehemently drives away other birds like wrens, woodpeckers and other species of nuthatches. They have the habit of stealing materials that are used for lining nests from other birds like chickadees and the smaller species of nuthatches. 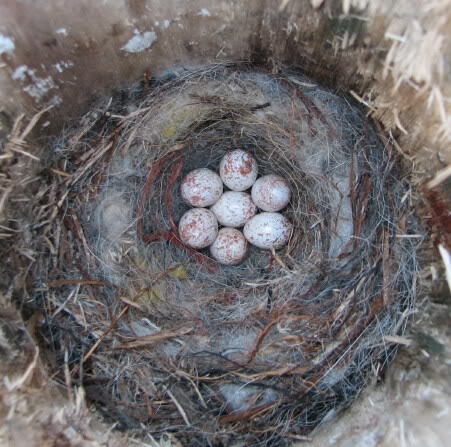 After building the nest, the female lays around 5 to 8 (average 6) pinkish eggs that are then incubated for 12 to 13 days. The male provides food to the female giving her more time to spend incubating the eggs. The eggs hatch and the babies are altricial staying in the nest for around 3 weeks after which the immature birds fledge. 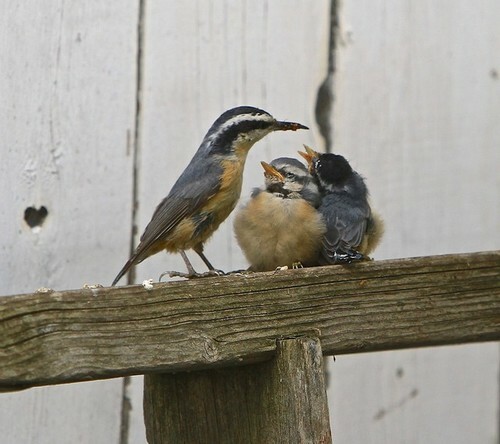 The juveniles become fully independent two weeks after leaving the nest. They become ready for breeding after completing one year of age. These birds have powerful legs and feet with sharp claws and long toes. These features help them to adapt to an arboreal life on tree trunks and makes them veritable acrobats. 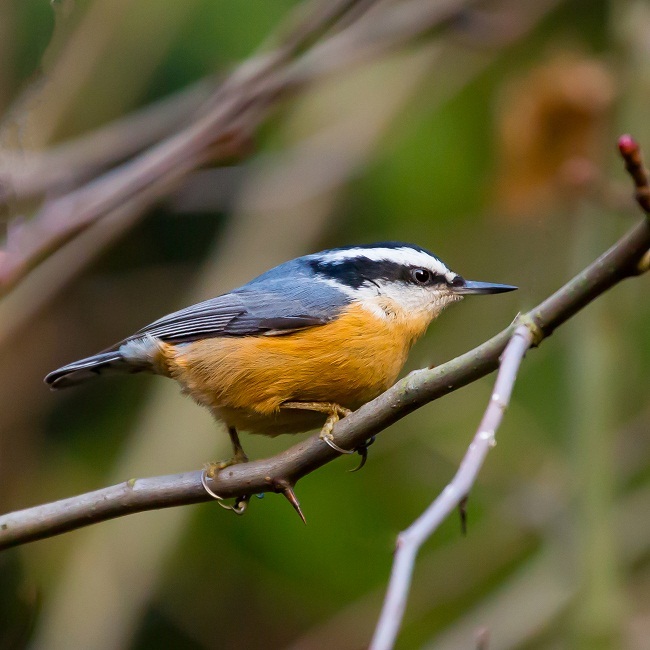 They have short tails that help them to climb downwards easily, as their downward motion on tree trunks also help them catch prey that other birds may miss. 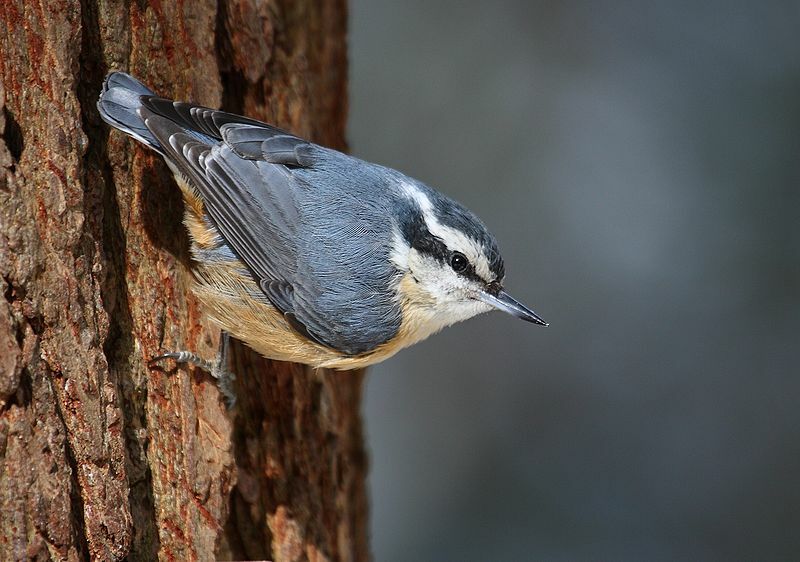 These birds are unique in the sense that they are the only nuthatches of North America to have a black stripe over their eyes followed by a white stripe above the black one. The excavation of nests in tree trunks can take a maximum of 18 days resulting in a cavity with a depth of 2.5 to 8 inches. 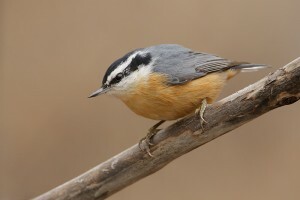 The oldest recorded red-breasted nuthatch lived for seven and half years. 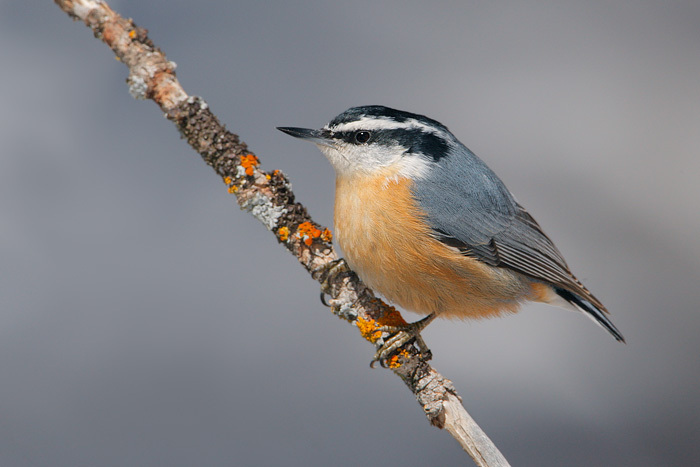 Red-breasted nuthatches migrate towards the south much before most other irruptive species. Published on August 4th 2015 by admin under Coniferous Forest Animals.